The Aging Studies Series published by transcript features interdisciplinary research on the study of cultural aging. This volume aims to bridge the disciplinary gap between tourism studies and aging studies. 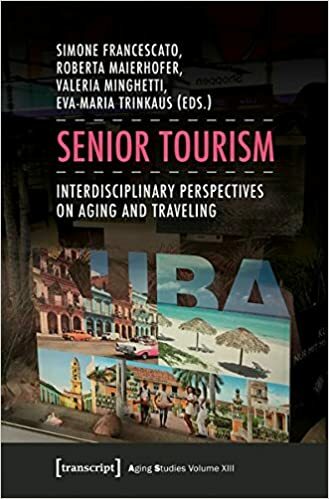 It investigates the intersections of tourism and aging from a variety of perspectives which focus on the many ways in which senior tourism is socially constructed and/or individually experienced. The essays tackle key topics ranging from the socio-economic aspects of post-retirement travel to the representations of the traveling elderly in literature, film and media, and the influence of travel on late-life creativity. Institutional care for seniors offers a cultural repository for fears and hopes about an aging population. 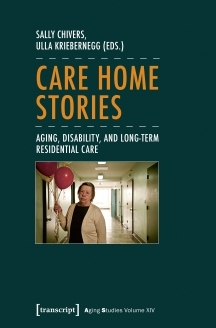 Although enormous changes have occurred in how institutional care is structured, the legacies of the poor house still persist, creating panicked views of the nursing home as a dreaded fate. The paradoxical nature of a space meant to be both hospital and home offers up critical tensions for examination by age studies scholars. Dieser Band rückt die Frage nach den Beziehungen des Alter(n)s ins Zentrum und stellt dabei verschiedene interdisziplinäre Perspektiven auf das Altern als soziale Praxis und kulturelle Ordnung vor. Entlang der drei leitenden Begriffe – Ordnungen, Praktiken, Materialitäten – loten die ethnographischen, historischen und diskursorientierte Beiträge kulturelle Vorstellungen, alltagsweltliche Aushandlungen und materielle Erscheinungsformen des Alter(n)s aus. How are individual and social ideas of late-onset dementia shaped and negotiated in film, literature, the arts, and the media? And how can the symbolic forms provided by popular culture be adopted and transformed by those affected in order to express their own perspectives? This international and interdisciplinary volume summarizes central current research trends and opens new theoretical and empirical perspectives on dementia in popular culture. 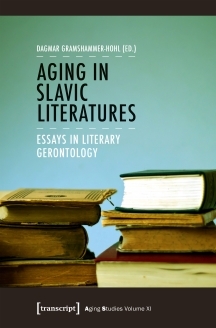 It includes contributions by internationally renowned scholars from the humanities, social and cultural gerontology, age(ing) studies, cultural studies, philosophy, and bioethics. Contributions by Lucy Burke, Marlene Goldman, Annette Leibing and others. The Ages of Life : Living and Aging in Conflict? Since antiquity the concept of the ages of life has been related to changing iconographies and representations. These range from Ptolemy's cosmology of the seven ages of life and Galenic medicine's four elements to the ladder of years, which has identified the ages of life with social roles during the eighteenth century. In contemporary Western societies the ages of life have, on the one hand, been redefined as the biography of the individual subject. On the other hand, the category of “youth” has continually been displaced toward the end of the life course, turning living and aging into apparently conflicting processes. The binary construction of “young” and “old”, which is based on a biogerontological model of aging as decline, can be redefined as the ambiguity of aging from a cultural studies perspective. This cultural ambiguity of aging enables an analysis of the social functions of images of aging in order to provide a basis for interdisciplinary exchange on gerontological knowledge. Such forms of analysis make visible the contradictions between images of positive or “successful aging” in marketing, which target the affluent and healthy 'young old' and may serve as meaningful and empowering for those addressed, while they can also exclude and stigmatize those of the 'oldest old' who face the realities of illness in old age. By contrast, it is also possible to deconstruct apparently negative images of old age as physical decrepitude and disease by focusing on the possibilities of appreciating life even in the oldest age as a form of “successful frailty”. The chapters in this yearbook conceive the relationship between living and aging as a productive antagonism, which focuses on the interplay between continuity and change as a marker of life course identity. Aging and growing older are processes which cannot be reduced to the chronology of years but which are shaped by the individual's interaction with the changing circumstances of life. To the degree that it enables agency, living and aging make possible the subversive deconstruction of normative age concepts. In aging studies, age, like other salient markers of identity, is defined not in terms of being but of doing. One adjusts automatically to the implicit norms of age-appropriate behavior that structure everyday life. In Western culture, these norms install a hierarchical dichotomy between the young and the old – the latter still getting the worst of it. This second volume in the Aging Studies in Europe series focuses on questions concerning the ways in which actors and socialites perform aging on the stage of consumerist culture. How do celebrities, whose star personae are ultimately connected with the prime of their lives, cope with the aging process? Which public practices invite subtle adjustment of age scripts that focus on the decline of physical strength and attractiveness as the years pass? Narratives of Life: Mediating Age. The prospect of increasing longevity has turned aging and old age into a topic of concern in Western societies. The discourse of age and the proliferation of narrative in contemporary media culture both transgress disciplinary boundaries. Addressing the "narratives of life" from different disciplinary angles this volume aims to explore the scope of a narrative gerontology. 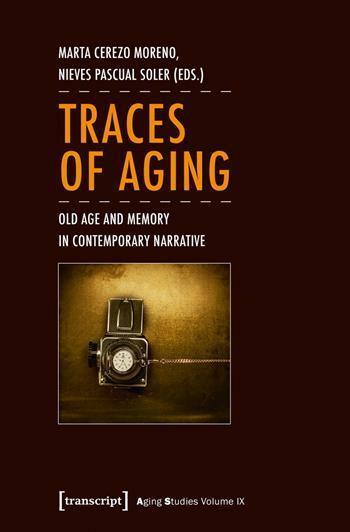 Aging and the stories that are told about it or from within are transnational and transcultural phenomena. While aging is thus a universal process, attention is also drawn to the categories of difference that it evokes: Historical, social and cultural differences as well as gender differences.